I’ve had this problem on and off for years, with 2 MacBooks, that they took as much as a minute to fall asleep or failed to do so at all. At the moment my current theory is that Tuxera NTFS / NTFS-3G have been the culprits: it would sometimes use 30% CPU to do nothing and killing it let the machine sleep. And I think it’s responsible for the problem I have that SpotLight doesn’t work properly for several minutes after first starting up the machine and logging in – it seems to be indexing the BootCamp partition. I’ve recently install the current version, 2012.3.4 and it was fine for a while – sleep and spotlight problem resolved. 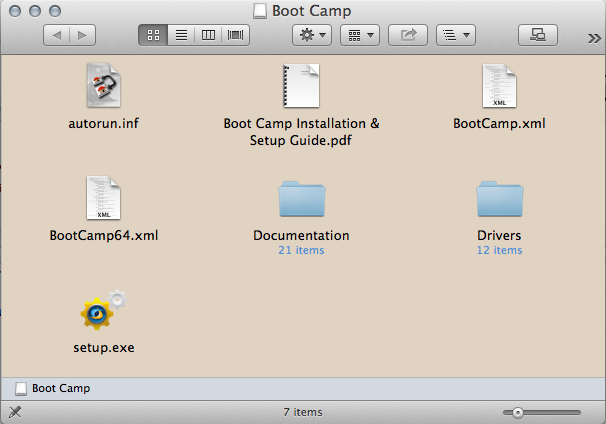 But they still came back and at the moment I’m working with NTFS not mounting the BootCamp partition. Which is fine until I want to copy something onto it for use in Windows… Grrr. So at the moment my workaround is to use the Tuxera System Preferences Pane to manually switch it on and off when needed. 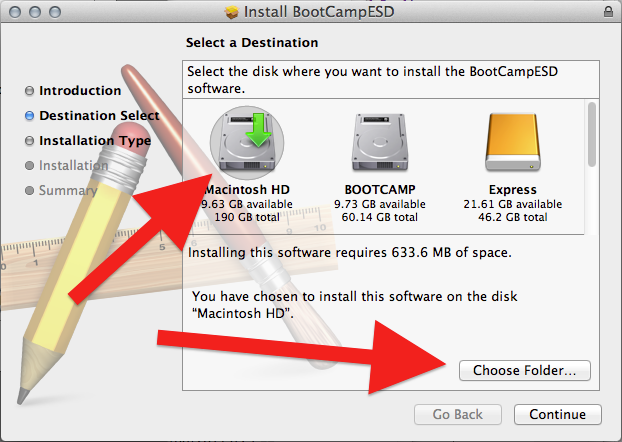 There are other solutions for NTFS support in OS X, but the Apple unreleased one isn’t recommended which leaves you with the paid ones, Tuxera or Paragon, or the free Tuxera one, NTFS-3G. This entry was posted in Computers and tagged mac, OS X, Windows on 23rd January 2013 by Chris F Carroll. 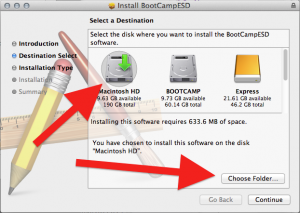 If you’ve downloaded bootcamp drivers for Macs to run Windows 7 or 8, but have done the download in Windows, you may be stuck on how to open the downloaded BootCampESD.pkg file you’ve now got. 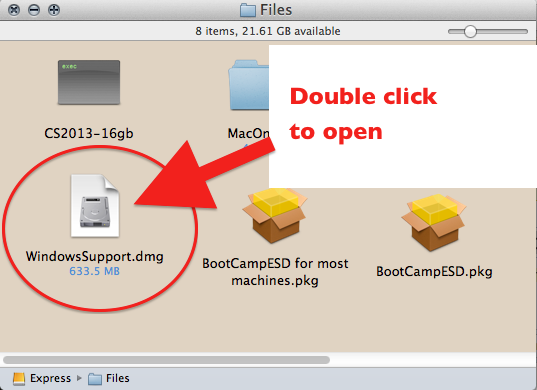 The answer is to get a copy of 7-zip, which is free, and which is your ‘Swiss army knife’ to open the Apple .pkg and .dmg files and the ISO file inside. 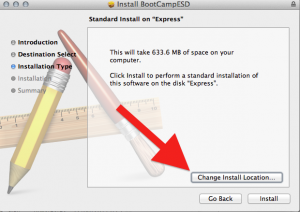 In 7-zip, open the BootCampESD.pkg. Inside you’ll find a Payload file and a few other files. Double click the Payload file. Inside is a folder, which you double click. Inside that another folder, which you double click. 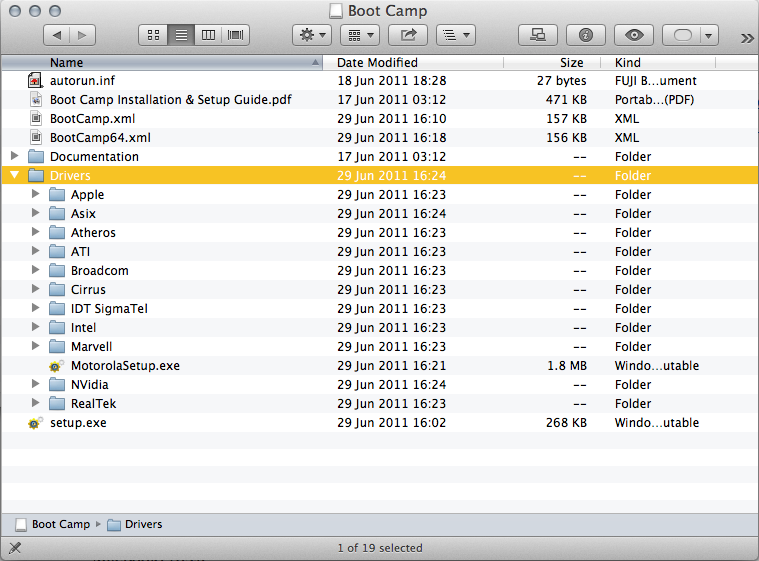 Inside that … just keep clicking down the levels of nested folders. Eventually, several levels down, you’ll get to a file called 0.Apple_ISO or some such. 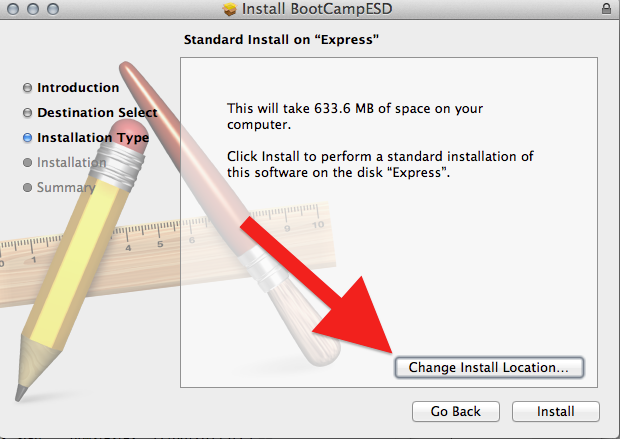 Now, extract this o.Apple_ISO to the desktop (or somewhere) and rename it to Apple.ISO. Now, either: Mount it by double clicking it—should work in Windows 7—or else by getting hold of PowerISO or similar; OR use 7-zip again to open this ISO file, and extract the contents to a folder. These are you driver installers. Create an empty folder on your desktop, and drag them out into it. This entry was posted in Apple Boot Camp Problems, Computers, WindowsOnMac and tagged bootcamp, mac, OS X, Windows on 4th November 2012 by Chris F Carroll.